This year my students are a little challenging but that is ok. I always find different strategies to teach them. I am always looking for resources and modifying then to their needs. I am strong believer that all students can learn when you are challenging them and working at their level as well as moving the students forward. I know that teaching is and can be challenging but when I see my students engage during the lesson and understanding a topic I think is worth it. In the month of February we started on our unit on Fractions. The common errors or misconceptions that I saw with my students was that a few of them were not able to show me different possible ways on partitioning a whole into different ways because they were lacking the concept of symmetry. We are still working on that and I am incorporating art so they can be able to draw. I do a lot of hands on activities with my students and I use a lot of modeling and guiding with my students. Also, the students are in groups and most of the help each other. In addition, we are also working on evaluating and criticizing each other work. I pick my students strategically and then I will ask do agree or disagree with her and why. They have to tell me why. Also, we are learning to self correct our work. The first thing I did was I model and guide them through the process step by step and I would do a lot of think alouds. I am also teaching my students to look for key words when we are working on word problems. 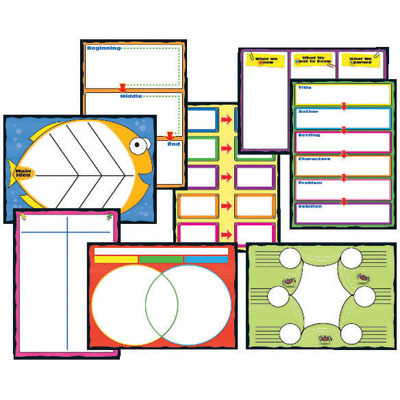 I also use this graphic organizer with them. key words: what is the problem asking you to do? This graphic organizer has helped the students on analyzing as well as solving the word problem. 2016 is Here and Winter Break is almost over!!! This is the perfect time to take a look back and reflect what strategies worked and what strategies did not work. By this time of the year we all know are class. We know which of our students need help in reading, reading comprehension, writing, math, critical thinking, science, and so on. Also, we know which students struggle on listening and following instructions. We as educators we are always navigating the internet or book stores for resources on how to renovate ourselves, our children, and classroom to have a better learning environment. Once class begins again, it is perfect to go over classroom expectations, routines, and work habits. Today I was searching for resources for my students and I found an awesome website for all grade levels. The beautiful thing is that this website is free!!!!! This website offers a lot of great ideas that we can implement in all subjects. Most of the time we want to get some ideas on how to do something so we can incorporate it our classroom. This school year has been very interesting and exciting at the same time. Yes, sometimes my class can be challenging but I have people in my life that give me support and great advice to continue on. This year our school is sending the teachers into training. 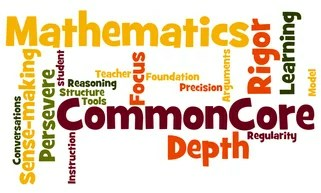 We have Center for Math and Science Teaching (CMAST) and Core Instructional Model (CIM). Even though the two programs are different they have some commonalities. Both programs are preparing us to lesson plan and to involve children in the process of self-evaluation. I do not get offended or discourage when my students do not understand the topic that I am teaching or when they give me their puzzled face. Instead I take my lesson into a different direction. I always try my best to execute a lesson that will encourage all my students to be engaged in the lesson and not being afraid to take risk. I have come to the conclusion that if we examine ourselves and make changes then, our students will be more comfortable on asking questions. Then, we will see that our students are making an effort to learn and we will be able to notice the changes. Two weeks ago we had a meeting with CIM and CMAST. The topics that we were instructed on were on assessment. I agree that students should be involved in the assessment progress and they should evaluate their work and at the same time they can make some goals, so that way they would have a clear picture of the skills or topics they need to work on. My students are able to point out there areas of need and what to do in order to achieve success. They are able to do this because they had the experience of evaluating themselves in second grade and were doing the same procedures in third grade. I was very happy because the students came up with their own expectations. When I read the students responses I noticed that their expectations of becoming a math wizard align with the Mathematical Practices. I have link some great websites and a video to demonstrate how to incorporate the MPS into the lesson.